The Bulgarian Foreign Minister Nikolay Mladenov has announced that the survey by the organization of Bulgarian immigrants in Turkey, “Bulturk”, has not been conducted yet. The survey, aimed at citizens of Bulgarian towns with predominantly Muslim population, has caused the angry reaction of Volen Siderov, the leader of the Bulgarian nationalist party “Ataka”, who claimed the poll was an act of provocation to the Bulgarian identity. However, Mladenov has stated that the investigation by the Foreign Ministry has shown that the organization has only expressed its willingness to conduct the survey but has not yet done so. “The department I am heading does not have the authority to either allow or forbid NGOs to conduct their polls. The only requirement for them is to comply with the Bulgarian laws while on our territory,” the foreign minister said. Siderov expressed his discontent with the questions prepared for the survey. “One of the questions is what the respondents think about bringing back the Turkish names of some towns in Bulgaria, meaning bringing back the Ottoman Empire. They might as well ask “Do you want Bulgaria to be a province of Turkey?”,” Siderov said. However, the foreign minister has assured the threat was not as big as Siderov claims. 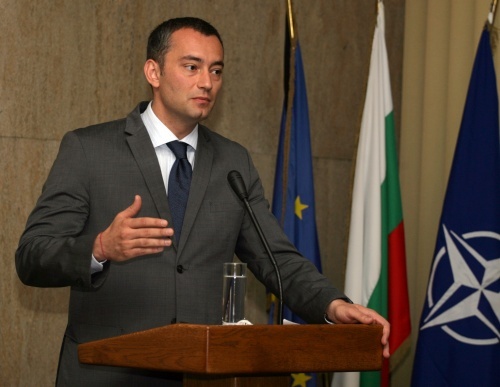 “I would like to assure you, and I think you will agree with me, that the Bulgarian national identity, the Bulgarian national self-consciousness and the Bulgarian pride are much stronger than that and one survey cannot be a threat to the Bulgarian national identity,” Mladenov said.